Sr. Johnson, 66, is today one of Catholicism’s most highly regarded theologians. A past president of the Catholic Theological Society of America, she has received numerous awards for her work. According to Sr. Johnson, people everywhere are longing for mature theology. She finds it slow in coming. In part, it’s responding to this hunger that moved her to write Quest for the Living God. “I just wanted a book out there, a simple book that people could pick up and read and munch on and feast on and have a banquet in terms of what’s going on in the theology of God,” she said. Now be like Augustine and pick up and read the whole article! If you're into podcasts, why not listen to Tom Fox's interview with her about Quest For The Living God? 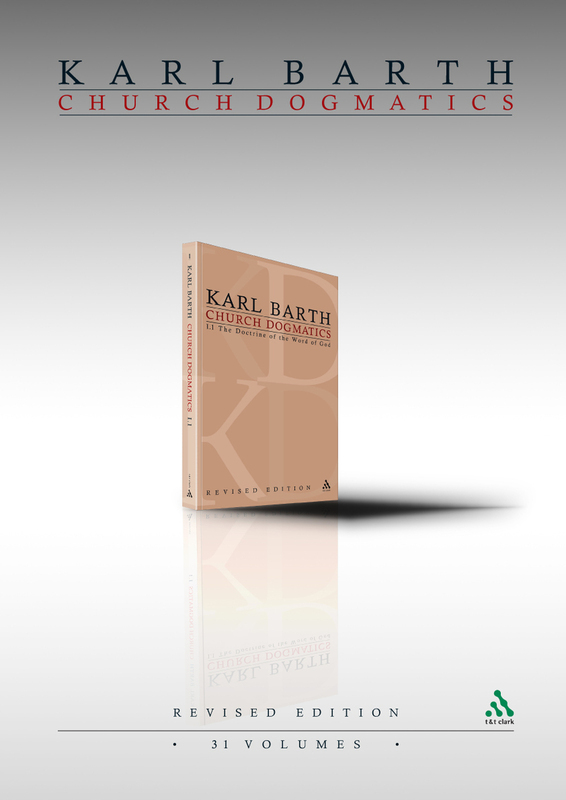 We have now received sample pages of the new edition of the Church Dogmatics, due to be published by the end of this year. The text will be presented in a new layout and a bigger format in 31 paperback volumes. For the first time this edition will include translations of all Latin and Greek texts, presented alongside the original texts. 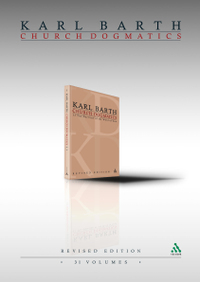 The translations have been provided by a team of scholars from the Barth Centre at Princeton Theological Seminary. I think you will agree that this is an exciting addition to the classic text with lots of new content. Please do have a look and let us know what you think! 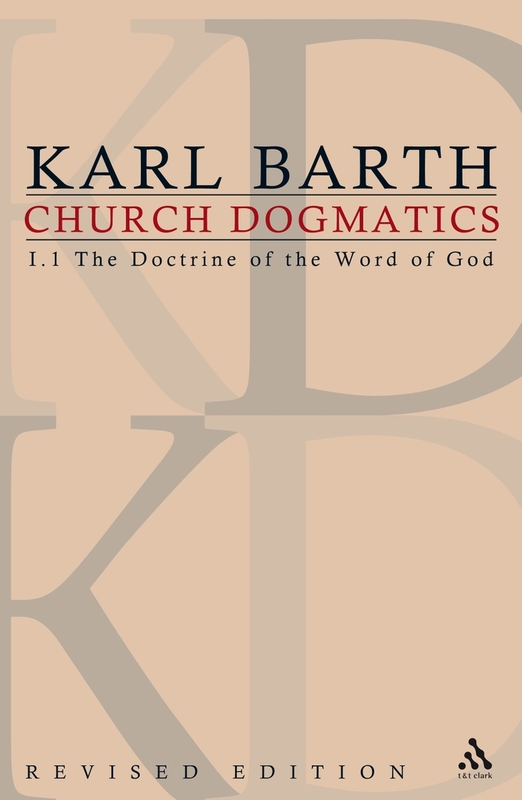 PS Please note that the page numbers in square brackets refer to the classic edition of the Church Dogmatics. They will be removed at a later stage. It is with great sadness that we announce the death of the Very Reverend Professor Henry Chadwick, who passed away last Tuesday, June 17. I, myself, have well-dogged-eared copies (filled with copious marginalia) of his history The Early Church and his translation of Augustine's Confessions. The Telegraph, and New York Times each offer their obituaries. The Archbishop of Canterbury, Rowan Williams, has written Chadwick's obituary for the Guardian. Now available is Volume 8 in our Reading Romans Through History and Cultures series, Reformation Readings of Romans, edited by Kathy Ehrensperger and R. Ward Holder! It's available in the US and will be released in the UK in August. I must say that as I read these essays, I was struck by their depth and comprehensiveness. Any student or heir of the Reformation would benefit well from the scholarship and thoughtfulness therein. Writes Calvin J. Roetzel, Arnold Lowe Professor of Religious Studies at Macalester College, "This is an important book in a significant series on Paul's most influential letter. It allows us to eavesdrop on world-class scholars discussing the Reformers' portrait of Paul and his legacy. For any serious student of the reception history of Paul, this is a must." Reformation Readings of Romans presents the next step in the Romans through History and Cultures seminar and publishing project of the Society for Biblical Literature. The series presents a window on a set of rather unique conversations, and the volume itself provides a distinctive addition to the series. First, the conversations between New Testament scholars and historians of Christianity are distinctive. Finding scholarship on Romans by a modern scholar is entirely painless, as even a brief trip to the Internet will demonstrate. Similarly, the number of articles and monographs on historical theologians’ interpretation of Romans by modern historians is also a straightforward task. However, it is rare to see the two communities of modern scholars actually talk to each other. Far too frequently, modern scholarship that concentrates upon Romans seeks to leap back to Paul’s age by clearing away the intervening centuries, seeking to avoid contact with a tradition of interpretation. Even when a movement like the New Perspective on Paul does take the history of interpretation into account, it is repeatedly the case that this is done to correct the past mistakes of interpretation. Similarly, historians of exegesis regularly write scholarship that stops with the death of a particular theologian, and ignore the advances in our knowledge of Paul, his time, and his audience that the modern period have provided. Do you ever read our blog and wish you could easily find an earlier post about a new release, review, or announcement without searching through the archives? Well, now you can with our new T&T Clark site search! If you scroll down and look on our left sidebar between Categories and Archives, you'll see our new Site Search. It uses Google's search engines so you'll be able to get the fast and comprehensive results you already expect. Enjoy! Max Stackhouse of Princeton Theological Seminary has been working for years on the theme of "God and Globalization." Globalization and Grace (Continuum) is the fourth and final volume in a series on that theme. Combining theology, sociology, social theory, and ethics, Stackhouse's "public theology" offers a very judicious, and generally favorable, evaluation of globalization understood not only in economic or geopolitical terms but with particular attention to cultural dynamics that are moving toward something like a cosmopolitan future. He spends a great deal of time responding, patiently and respectfully, to the many enemies of globalization, both Christian and other. The fierce antiglobalization passions of a few years ago that generated raucous protests at international meetings seem to be on the wane. Like it or not, globalization is happening, and Max Stackhouse makes a persuasive argument that the Christian response to it may turn out to be one of the great turning points in Christian and world history . Globalization and Grace is not light reading, but it is the kind of book that, fifty or one hundred years from now, may be celebrated for its prescience. - First Things, May 2008. This is the fourth and final volume in a series addressing globalization and Christianity, sponsored by the Center of Theological Inquiry in Princeton, NJ. It includes an introduction by Justo Gonzales, plus five chapters and a conclusion by Stackhouse, director of the study. Stackhouse (emer., Princeton Theological Seminary) rejects the view that globalization is another "fall," and views globalization as "providential grace." That grace is based on the Christian doctrines of creation, providence, and salvation. He concludes that "political democracy, human rights, an open economy, a nurturing family system, a vibrant culture, and deeply committed professionalism" grow out of Christian theology, and while they do "not mean that the New Jerusalem is at hand ... if they are ordered in a subsidiary or covenantal way, they are likely to give a grace filled life in a way that points toward salvation." Elements of Christian theology that will generate the globalization of ethics include a good Messiah, recognition of human moral failure, and a transforming grace. Stackhouse's attempt to show the indebtedness of globalization to Christianity is insightful, and supports his contention that Christianity can help guide it. Summing Up: Recommended. Lower-level undergraduates and above; general readers. -- P. L. Redditt, Georgetown College, CHOICE, July 2008. New LHBOTS: Echols' "Tell Me, O Muse"
We've got another LHBOTS release to tell you about: Charles L. Echols' "Tell Me, O Muse": The Song of Deborah (Judges 5) in the Light of Heroic Poetry, Vol. 487, now available in the US and UK. The so-called Song of Deborah (Judges 5) celebrates a decisive victory during the era of the Judges, and praises Jael and the Israelites for their defeat of a Canaanite coalition led by Sisera. Indeed, it is a rich text and can be studied profitably along several lines, including clues to the history of ancient Israel and Hebrew linguistics. Despite generations of research, virtually every aspect of the poem remains disputed. My aim in this study, in two stages, is to elucidate the role of Yahweh in the poem in the light of a comparative study of heroic poetry. The first stage introduces the book, provides an annotated translation, and addresses further preliminary critical issues, especially the question of the unity of the poem. The case for a unified composition has merit, but the stronger argument is that the original Song of Deborah (hereafter “Song”) was re-worked with the addition of religious material. Without the secondary material, some references to Yahweh remain, but the original poem is essentially secular. This portrayal of Yahweh is strikingly different, as I show through a comparison with similar Hebrew poetry. Moreover, attempts by a few scholars to reassert Yahweh's prominence along other lines such as comparative mythology are unconvincing. Part II begins by establishing a basis of comparison for the original poem vis-à-vis heroic poetry. Since the Hebrew Bible/Old Testament contains precious little heroic poetry, I identify its constituent components, particularly heroic narrative poetry, by surveying a wide variety of heroic poetry from different times and places. The survey distinguishes, furthermore, the main features of non-heroic poetry. The results are then compared with the Song, which is found not to be heroic narrative poetry. The poem is then compared with lyric poetry, and, of its many sub-genres, the victory song is shown to correspond most closely with the Song. Next, the results of the survey of heroic poetry are adduced to determine whether the Song is heroic. The poem is assessed for heroic and non-heroic features, and the results indicate that it is indeed a heroic victory song – a previously unidentified genre in the Hebrew Bible/Old Testament. The refinement of the generic classification explains the enigmatic role of Yahweh in the poem. The fruits of the comparative approach using heroic poetry are then applied to the victory song genre in Hebrew Bible/Old Testament research, and the study ends with some general conclusions and suggestions for further research. Johnson Wins First Place for Theology and Lakeland Wins Third Place for Social Concerns from Catholic Press Association! We are very excited to announce today that we have received word that Elizabeth Johnson and Paul Lakeland have both received awards from the Catholic Press Association! Congratulations to you both! “Gracious mystery, ever greater and ever nearer,” the second chapter of this wonderful book, focuses the reader clearly on the task ahead: coming to a fuller understanding of the many faces and manifestations of the divine in the world in which we live. With each image of God that is presented Johnson offers us the necessary context, the reasoning, and the challenge which animates the believer’s devotion and commitment. This is a wonderful text, comprehensive and unflinching when such critique is required, but perhaps even more encouraging and appreciative of the presence of the sacred and the mysterious in our midst. Lakeland offers new understandings, interpretations, and practices of the laity in the church. It is a book that could be well used by a parish discussion groups, individuals, or in classroom settings. He moves forward the discussion on the power and presence of the laity as a significant and expanding force in the Church. Here is a healthy blend of encouragement and challenge. This came over the wires from The Jordan Times this morning. If anyone has the inside scoop and/or verification, we'd love to know! AMMAN - Lying underneath Saint Georgeous Church in Rihab, Mafraq, is what archaeologists describe as the first Christian church in the world. “We have uncovered what we believe to be the first church in the world, dating from 33AD to 70AD,” said Archaeologist Abdul Qader Hussan, head of the Rihab Centre for Archaeological Studies. The discovery was “amazing”, Hussan told The Jordan Times. “We have evidence to believe this church sheltered the early Christians: the 70 disciples of Jesus Christ,” the scholar said. The early Christians, described in the mosaic inscription on St. Georgeous floor as “the 70 beloved by God and Divine”, are said to have fled from Jerusalem during the persecution of Christians, to the northern part of Jordan, particularly to Rihab, he added. Citing historical sources, the expert said the 70 lived and practised their rituals in secrecy in this underground church. We believe that they did not leave the cave and lived until the Christian religion was embraced by Roman rulers. “It was then when St. Georgeous was built,” said Hussan. Saint Georgeous is believed to be the oldest “proper” church in the world, built in 230AD. This status is only challenged by a church unearthed in Aqaba in 1998, also dating back to 3rd century. The findings in the graveyard near the cave offer valuable clues, according to Hussan. “We found pottery items that date back from the 3rd to 7th century,” he added. The findings show that the first Christians and their offshoot continued living in the area till the late Roman rule. “Going down a few steps into the cave, one would see a circle shape area, believed to be the apse, and several stone seats for the ecclesiastics,” he added. Archimandrite Nektarious, Bishop Deputy of the Greek Orthodox Archdiocese, described the discovery of the cave as an “important milestone for Christians all around the world”. “The only other cave in the world similar in shape and purpose is in Thessalonica, Greece,” the bishop said in an interview in Amman. 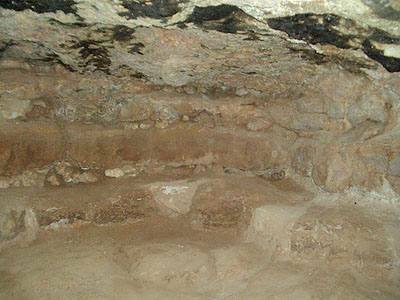 The cave also embraces the living place of the first Christians. “A wall with an entrance is the only partition separating the altar from the living area,” Hussan said. There is also a deep tunnel, which is believed to have led the 70 Christians to their source of water, the archaeologist added. Officials in Mafraq say they will capitalise on the discovery to further promote the area. Governor Zeid Zreiqat, who noted Rihab is rich in unique archaeological sites, said that together with the new discovery, these sites can be invested to attract religious tourism. “We are working on developing Rihab to become a major tourist attraction in the near future,” he told The Jordan Times. So far, 30 churches have been discovered in Rihab,” Hussan said. It is also believed that Jesus Christ and the Virgin Mary have passed through this area, he added.